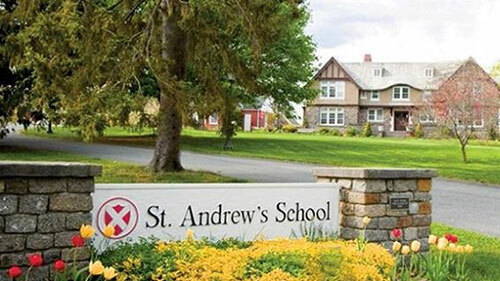 PROVIDENCE, R.I. – The Rhode Island Health and Educational Building Corporation (RIHEBC) announced the issuance of $20 million in Educational Facility Revenue Bonds on behalf of St. Andrew’s School. The tax-exempt bonds closed on October 31, 2018, and will be used to finance capital projects at the School’s campus in Barrington, including a 40-bed student residence hall, a 12-unit faculty housing facility, and the renovation and equipping of other existing school facilities located on the campus. In addition, proceeds of the bonds were used to refund the School’s RIHEBC Series 2013 bond issue. The School, just 10 miles outside of Providence, was founded in 1893 by Reverend William Merrick Chapin as St. Andrew’s Industrial School and became a self-sustaining community. Today, the School has evolved into a college-prep day-boarding school with current enrollment of 223 students and a campus consisting of 70 -plus acres and 33 building facilities.